We’ve all had the annoying moment when we just couldn’t open that jar. Lucky for you, if you watch my video, you’ll never again have to watch any other. My ways are guaranteed to help you no matter what situation you’re in, and no matter what kind of jar it is. Whether the jar is vacuum sealed or stuck with honey or something else, I’ve got you covered! Don’t forget to subscribe for more genius videos. You may always want to know the best way to do things. The best way depends on what is the problem. The problem could have different causes. If you prefer to blame the person, there are 2 possibilities. You either have weak fingers or a weak wrist/arm. Weak fingers can’t apply sufficient force perpendicular to the surface to generate sufficient friction, thus your hand slips. To compensate for this, we can use many non-slip materials: rubber glove, leather glove, wide rubber band, balloon. To turn the lid, you should use your arm instead of your wrist to turn the lid, because your arm is much stronger, and wrists can be easily injured. If you feel that your weak wrist or arm is the problem, you can leverage your force by using tools with long handles. The longer the handle, the less force is needed. For example if you can extend the length of the pipe wrench, or the oil filter wrench, you will gain more power. 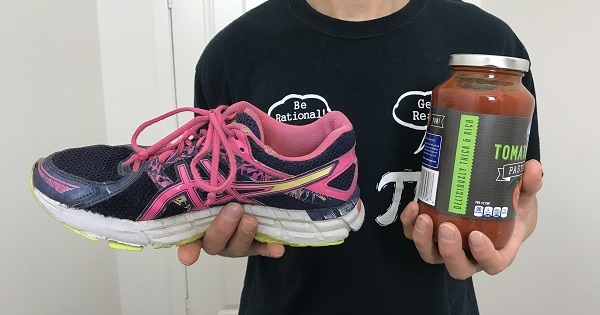 If you think the jar is the problem, you need to investigate the 3 possibilities of what is causing the high resistance. The 3 causes are the vacuum seal, high friction on the threads and liner, or solidified food. You need to match the tools you have to solve each problem. Two solutions to break the vacuum: either prying or tapping. Prying: you may buy special tools, or you can use a beer bottle opener, a spoon, a butter knife or a screwdriver to poke around the jar’s perimeter so that you can introduce an air leak and break the vacuum. Tapping: You may use a wooden cooking utensil to whack the top of the lid. You need to whack it hard but not so hard that you break the glass. You hope it will break the vacuum as well as unstuck the lid. You can also use the back of a knife to whack as long as you’re careful. If a jar is vacuum sealed, then there is often a seal button, see here. If this button or the lid pops up, it means the vacuum is broken. If you have high friction on the threads, you may use a heating method. Reduce friction: Heating the metal lid will reduce the force needed because metal will expand more than glass. The heat source could be your stove, hot water, hair dryer or cigarette lighter. There are two common types of jar lid, one is continuous threaded where the jar and lid are both threaded in one continuous bead. It is similar to a nut and bolt. To open it, you need to turn at least 360 degree. Since the thread is long and gradual, you may potentially have a tighter seal, thus it may be harder to open it. The second type is lug or called twist-off type where the container has multiple threads and the lid has an equal number of lugs or tabs that grip the corresponding threads. You can see a few nubs here. To open it, typically you need to turn the lid less than 90 degree. This is easier to keep clean and free from sticky product. Sometimes a jar that has been opened before will still be tough to open if the contents are something sticky, like honey. When the lid is heated, the honey or other sticky substance should soften or melt, making it easier to twist open. Finally, if you have a jar of honey or something sticky, you can put some plastic wrap over the thread so that it will be easy for you to open it next time. Note: if you heat the jar, you may not heat too long because even though the vacuum has negative pressure, heating would generate vapor and thus may create positive pressure and explode. This entry was posted in jar opener, opening jar and tagged asian, balloon, continuous threaded, diy, genius, genius asian, hacks, hard to open, honey, how to, jar, Jar Lid, kitchen, leather glove, lid, oil filter wrench, pipe wrench, prying, rubber glove, save time, solidified food, sticky, stuck, tapping, twist off, vacuum sealed, wide rubber band on January 1, 2019 by David Zhang. 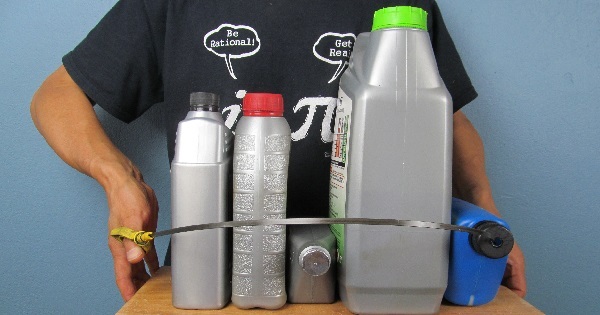 This entry was posted in car, life hack and tagged 1-quart bottle, 3 ways, 5-quart jug, asian, audi, bmw, bottle, caravan, correct way, dipstick, diy, engine, engine oil, funnel, genius, genius asian, honda, how to, lexus, no funnel, no tools, pour, save money, save time, subaru, third way, toyota, way 3, wrong way on October 8, 2018 by David Zhang. How To Choose Ski Gear For Beginners. The goal of this video is to save your money or time on choosing your ski gear. For beginners, we don’t need complicated lecture on the ski equipment, it should only take a few minutes to get you going. 1. what kind of ski? 2. what kind of boots? 3. what about poles & what if it is too long? This entry was posted in ski and tagged boots, choose, David, David Zhang, Do It Yourself (Website Category), Dr. Zhang, easy, goggles, Helmet (Sports Equipment), Mr. Zhang, pole, poles, pricing and deals, rental vs buying, save money, save time, ski, ski gear, ski rental, Skiing (Sport) on January 5, 2014 by David Zhang.